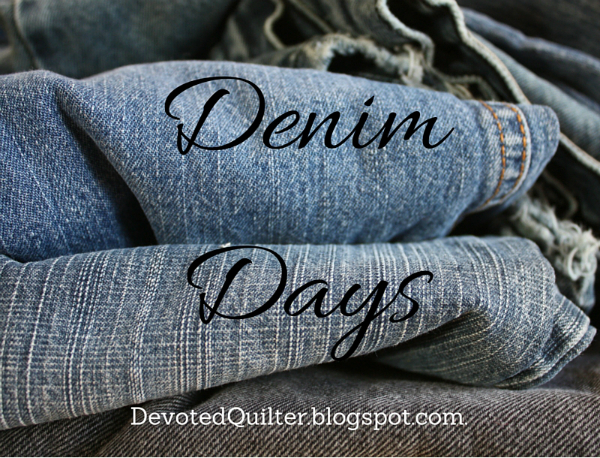 Devoted Quilter: Denim Days - EPP! Thanks for linking up to TGIFF Leanne. As you can see it worked!. I love that denim ball and I appreciate all the information you gave about making it. I think yellow or cream for the hand quilting...although if it was me I would probably go with white to hide my stitches! What a cool idea! 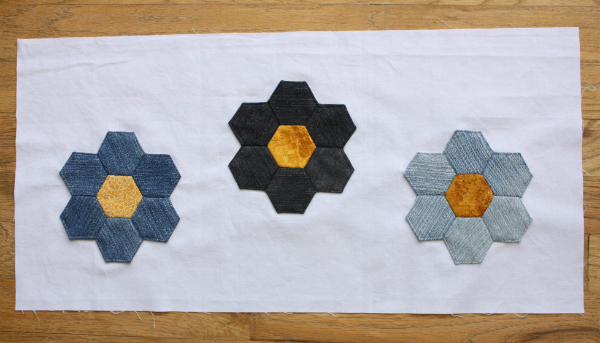 I have a huge pile of old jeans, just waiting for the right project - I may give this a try! Whoop whoop!! 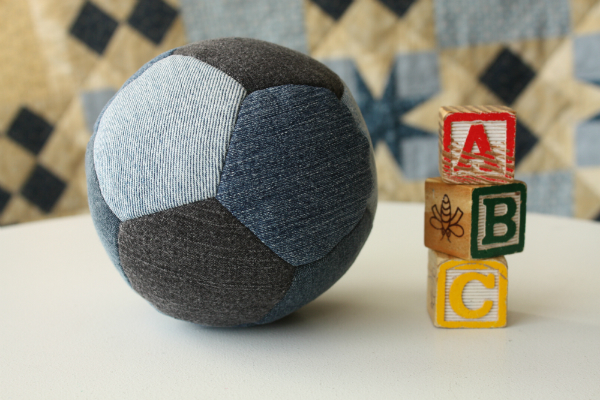 I don't typically like denim projects, but the denim ball is so cute! I'll have to give that a try! :) Thanks for the links to the patterns. I love that denim ball. It's such a great idea! I think just about everyone has some old denim laying around! Your denim ball is amazing! I have a little girl who would love this. I've never done EPP so this looks challenging! The denim ball is so cute! The fabric has such texture. Your instructions and links are wonderful! The quilt along sounds great! 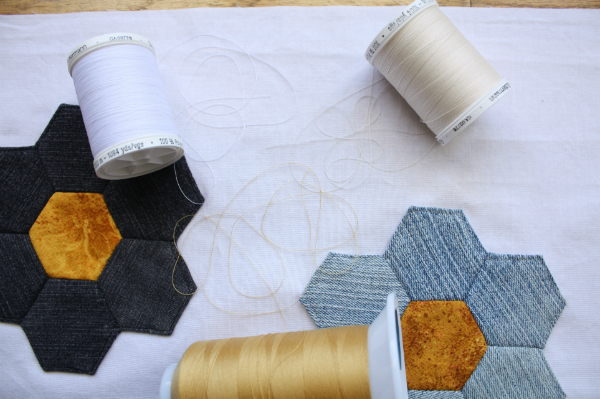 Love the denim hexies and I look forward to seeing your mystery QAL posts! Great ideas for using denim. Congrats on the quilt along. Looking forward to hearing more about it. Such a cute ball! I never would have thought to use denim with EPP, I would have assumed that it would be too thick. I, too, love that denim ball! I definitely need to make one!! 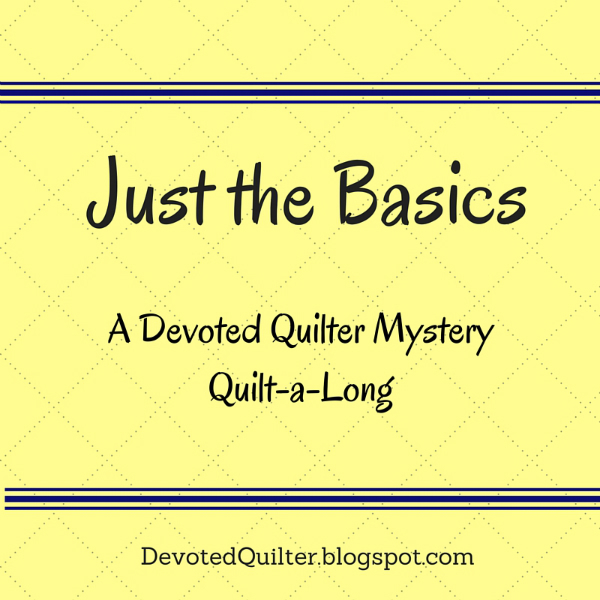 Did you glue baste or thread baste? I've been trying to leave a comment from my phone for days, but my phone just does not like to let me submit comments on blogspot from my phone for some reason. I'm finally at a computer! Woooooo. So.... denim ball... I'm totally going to try it! What did you use for stuffing, too? Do you think wool batt would be a bad idea?